The beginning of the year 2016 has seen major operational developments in naval power design, born of differing strategic considerations and philosophies of naval power projection. The United States Navy is doubling down on the concept of the nuclear powered aircraft carrier, as well as stealth technology, to form the backbone of its new fleet additions. The resurgent nations, China and Russia, have designed a number of new surface vessels which leverage next generation radar and missile technology. Chief amongst these are next generation guided missile destroyers that will provide both nations with very potent and flexible surface warfare platforms. The USS Zumwalt DDG 1000, first in class of a projected three vessels, was handed over to the U.S. Navy to begin sea trials on March 20th. Envisioned as the supreme stealth destroyer in the 1990’s, the U.S. Navy originally planned to build 32 such vessels. Now the US Navy will receive only three. With a total program cost of $22.5 billion USD to date, each vessel will cost in excess of $4 billion USD to field. 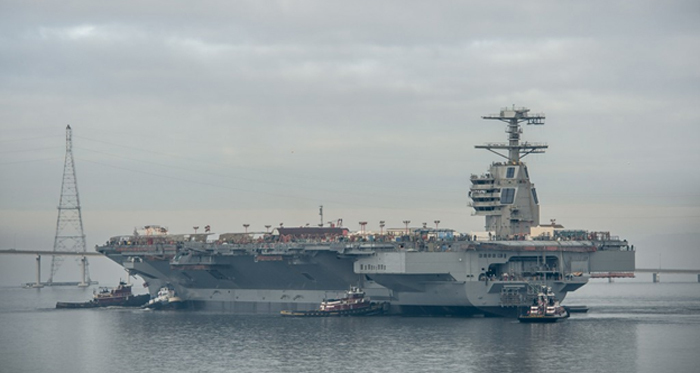 The latest, and most powerful conventional aircraft carrier ever built and put to sea, the USS Gerald R. Ford CVN-78, is also undergoing sea trials and is scheduled for a mid-summer commissioning date. The CVN-78 displaces 90,000 tons, accommodates over 75 aircraft, and employs a number of new technologies, but comes with a price tag of over $13 billion USD. The Russian and Chinese naval planners and designers have decided on a totally different philosophy for their next generation surface warfare vessels. While they see a limited role for the aircraft carrier in the 21st century, both nations have decidedly refuted its preeminence. Russia has decided to maintain and modernize its sole active carrier, the Admiral Kuznetsov, and have planned a new class of conventional aircraft carrier; however, they have focused the majority of their efforts and funding in procuring a new class of guided missile destroyer of large displacement. The Lider (Leader) Class DDG has a design displacement of between 17,000 and 18,000 tons, putting it well in the displacement category of a Cruiser. The Lider will be a powerful ASW, AAW platform that will also be equipped to launch a variety of anti-ship guided cruise missiles and land attack guided cruise missiles. The Chinese People’s Liberation Army Navy (PLAN) has been undergoing an expansion of unprecedented proportions over the past decade. In addition to the Liaoning aircraft carrier, China has added modern corvettes, frigates and destroyers to its two principle fleets. China has commissioned 3 Type 052D DDGs, and has a further six vessels in various stages of construction. The Type 052D is an advanced guided missile destroyer that gives China a parity of capability with their most capable, potential adversaries in the region, Japan and the United States. A total of twelve vessels of this class are planned. China has moved a step further by developing the Type 055 Class DDG, which like the Russian Lider Class, has the displacement tonnage of a Cruiser, at between 10,000 and 14,000 tons. This large vessel will provide the PLAN with a powerful ASW/AAW platform that can act as a key component of a future Carrier Battle Group (CBG), or in conjunction with other surface vessels in providing anti-access/area denial (A2/AD) capability in Chinese territorial waters and beyond. The Type 055 will be a powerful tool in further developing China’s blue water capability as a whole, allowing the PLAN to project power, maintain a formidable naval presence, and respond to crisis over much larger distances. When considering the viability of both large DDG designs, the current geopolitical realities and challenges facing both Russia and China must be understood. Russia is facing a renewed threat from an increasingly belligerent NATO alliance, led by the United States, which threatens its sovereignty and interests in the Baltic, Mediterranean, Balkans, Caucasus, and the recently reunited Crimea. In order to provide a viable defense of the nation and its allies, Russia must maintain and strengthen its A2/AD capabilities in the maritime realm adjacent to these threatened regions. Similarly, the ever increasing brinkmanship in the South China Sea, between China and the United States, brings into clear focus the challenges to China’s interests in the region. China faces further challenges in its dispute with Japan in the East China Sea over the sovereignty of the Senkaku (Daioyu) Islands. With a few exceptions, the long histories of both Russia and China reveal a mostly defensive military posture. This stands in strong contrast to centuries of the belligerent pursuit of conquest and colonization by the western powers. The Great Wall is a vast physical manifestation of China’s defensive mindset. Throughout its long history, traditional China was assailed from without by many enemies; by warlike kingdoms from Manchuria in the north, nomadic hordes along its western borders, and later from western powers all along its eastern and southern maritime borders, and still later from the brutal invasion of Imperial Japan. The overwhelming majority of China’s more than 5,000 years of recorded history exhibits a China that has concentrated its military resources on maintaining a strong defensive posture, and focusing its energies inward on developing its own culture and society. Similarly, Russia’s long history tells a similar tale. Besieged by Viking raiders along its many navigable rivers, assailed by nomadic hordes of Mongols and Huns from the east and southeast, Islamic invasions through the Balkans and Caucasus, the expansionist ambitions of Swedish kings, the attentions of Napoleon Bonaparte and other western powers invading through its western borders and the Crimea, and finally the depraved machinations of Nazi Germany in the 20thcentury, paint a vivid picture of a Russia constantly defending itself. Offensive operations during the Crimean War, during the many wars fought against the Ottoman Turks, and even the prosecution of the Afghan War, were fought with an overarching aim of providing for the defense of Russian territory. Russia has never engaged in far reaching colonial endeavors or military missions of conquest far from its borders, unlike the most powerful members of the NATO alliance. Once again, both nations are challenged by viable military threats from a singular foreign power. The United States, which has been engaged in constant offensive military operations and invasions thousands of miles away from its borders for the past fifteen years, has become increasingly belligerent toward both Russia and China over the course of the past two years. In the case of China, the U.S. has sided with rival claimants to territories that China claims in both the South and East China Seas, has provided military aid and assistance to these nations, and has taken the unilateral action of sailing warships and military aircraft within the internationally recognized twelve mile limit of sovereignty of these disputed territories. The U.S. is presently engaging two Carrier Strike Groups (CSGs) in massive military training operations in the Philippine Sea, adjacent to the main areas of dispute. The Obama administration has seen fit to establish a much more robust defensive treaty with the Philippines, the Enhanced Defense Cooperation Agreement, to conduct large scale, joint military drills with the Philippine Armed Forces in April of this year, and to lift the long established ban on the trade of weapons to Vietnam just this May. These are all very clear signs that the United States intends to contain China and to limit its ability to pursue its national interests within its own back yard, to dispute China’s access to vital resources in the South China Sea, and to deny China’s ability to expand and improve its defensive capabilities in the maritime realm adjacent to its borders. 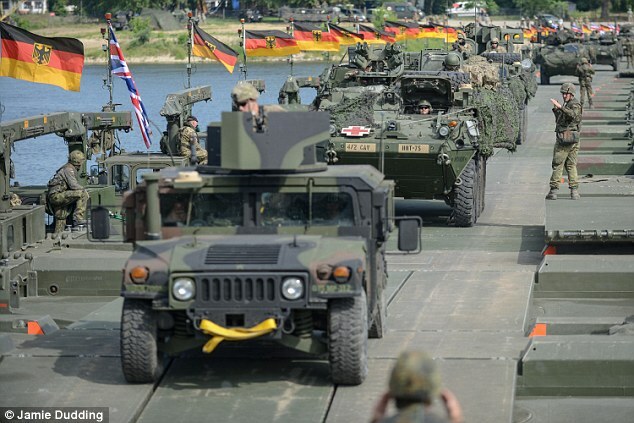 German and British forces practice an offensive river crossing in Poland during NATO exercise Anakonda 16, June 7-17th. June, 2016 marks the 75th anniversary of Nazi Germany’s Operation Barbarossa in 1941, a message not lost on Russian political and military leadership. Similarly, the United States has leveraged its dominant position in NATO and its economic control of Europe through international financial organizations such as the World Bank, WTO and the IMF, and to push for the continued expansion of NATO and the further military encirclement of Russia. Not only has Russia witnessed the largest concentration of foreign military forces along its Western European, Baltic and Balkan borders since Operation Barbarossa of 1941, but it has had its centuries old position of security and trade in Ukraine and the Crimea militarily challenged through a U.S. backed and financed coup, and the resultant proxy war in what was arguably the birthplace of Russian culture. Furthermore, the destabilization and destruction of the Syrian state at the hands of U.S. and NATO backed terrorists and largely foreign insurgents, is a second proxy war that threatens to remove Russia’s long term ally in a strategically important region. Syria harbors Russia’s only Mediterranean naval base at Tartus, key to supporting a Russian Naval presence in both the Mediterranean and the Bosporus, as well as the southern land approaches to the Caucasus republics of the Russian Federation. Further destabilization of this southern border to radical Islamic forces will further enflame Islamic terrorism within Russia’s southern republics and create a powerful enemy in the region, allied with Turkey and Islamic extremists throughout the Caucasus. It becomes clear that both China and Russia must invest in naval warfare platforms that will allow them to field a strong naval deterrent along their maritime borders, to achieve a strong anti-access/area denial (A2/AD) capability in key maritime regions adjacent to their maritime borders, and to provide them with enhanced power projection capabilities at increasing ranges. Both the Lider Class and Type 055 Class DDGs will increase Russia’s and China’s chances of meeting these strategic challenges, and will be force multipliers in ensuring success in any future conflicts. Both vessel designs will not only influence any future naval warfare scenarios, but also provide enhanced seaborne regional anti-ballistic missile defense and air defense capability, as well as offensive strike capability via land attack cruise missiles. Both Russia and China have gone through different, yet similar, evaluations of the most effective and efficient application of modern technological advancements in naval warfare platforms, and how best to utilize these platforms to develop a war-winning strategy and corresponding naval tactical doctrine. The advent of increasingly powerful and accurate missiles, capable of higher speeds, greater effective range, and intelligent, semi-autonomous guidance with the aid of satellite navigation and information processing, has led both nations to develop a similar naval warfare philosophy. Both Russia and China have accepted the limited role of the aircraft carrier in the current high-tech naval warfare environment. Both have embraced the dominant and deciding role of modern missile technology, coupled with advanced radars and battle management systems. 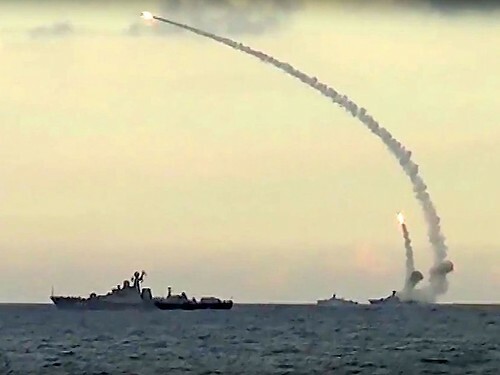 Russian Caspian Flotilla launching Kalibr land attack cruise missiles against ISIS targets in Syria, 2015. Russia has been at the cutting edge of missile technology and hopes to field the first operational hypersonic missile, the 3K22 Zircon, by 2018. This will coincide with the completion of the modernization of the guided missile battlecruiser Admiral Nakhimov, which will most likely be equipped with the new missiles, as well as long range Kalibr cruise missiles. Both Orlan (NATO designation Kirov) Class battlecruisers, the Admiral Nakhimov and the Pyotr Velikiy (Peter the Great) will be modernized fully and reequipped with far more capable radars, battle management systems and the most capable missiles in Russia’s arsenal. The Peter the Great is scheduled to complete modernization in the year 2025, corresponding with the projected date of delivery of the last of twelve new Lider Class DDGs. China has invested heavily in developing its arsenal of cruise and ballistic missiles in recent decades. In an effort to provide greater flexibility and power projection capabilities to its newest surface warfare vessels, the Type 052D Class DDGs are equipped with a VLS that can fire any of the PLAN’s guided missiles, including anti-aircraft, anti-ship, anti-ship cruise, and land attack cruise missiles. It is assumed that the Type 055 Class DDGs will retain the same level of flexibility in VLS design. China is in the process of developing a hypersonic missile, yet is far behind Russia in this effort. They have developed a quite capable anti-ship cruise missile, the YJ-18, which presents a significant threat to the most modern of surface vessels due to its range of 290 nautical miles, inertial guidance system, and high terminal stage attack speed of Mach 3. 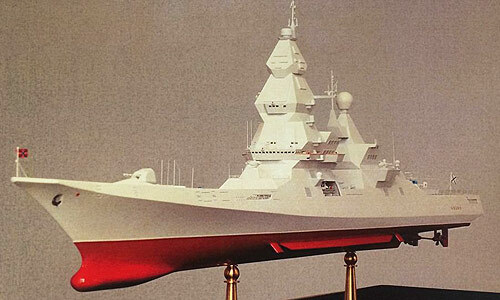 The Type 055 will most likely be equipped with a more modern variant of the YJ-18, along with newer anti-aircraft and anti-ship missiles by the time of completion of the first vessel. Analysts believe that construction has already begun on the first of at least two Type 055 vessels. A Chinese PLAN Type 054 FFG fires a YJ-83 anti-ship missile. Russia has publicly announced its plans to modernize a number of key naval assets on numerous occasions over the past two years. The Russian Ministry of Defense has requested design proposals from Russian shipbuilders for a number of vessels based on very specific design criteria. Alongside both nuclear and non-nuclear powered submarines, a new conventional aircraft carrier, and helicopter carriers to replace the failed Mistral acquisition, a powerful surface combatant to replace older Soviet designs was seen as essential in advancing Russian naval capabilities. The Project 23560E Shykval Lider (Leader) Class destroyer is perhaps a modern reinterpretation of the Soviet era Kirov Class battlecruiser, with a number of key changes. The Kirov Class battlecruisers were envisioned as massive missile-armed heavy combatants that would be able, with AAW/ASW support from accompanying destroyers and frigates, to deliver a devastating and decisive blow to a U.S. Carrier Strike Group in the event of hostilities. They maintain an increased relevance in their modernized and refitted form; however, the new Lider Class is a notable improvement on the original concept in a number of regards. Scale model of Lider Class DDG. The Lider is smaller than the Kirov, at a design displacement of between 17,000 and 18,000 tons compared to the 28,000 ton displacement of the older vessel. The Lider is smaller, yet gains the advantages of greater speed, maneuverability, a smaller radar signature (incorporating a modern stealthy, superstructure and integrated mast design), more efficient nuclear/hybrid electric or gas turbine drive main propulsion, and a large complement of modern offensive and defensive missile systems. The Lider is designed to accommodate a VLS system of approximately 200 missiles of various types, including long range Kalibr anti-ship and land attack cruise missiles, a navalized version of the S-500 long range anti-aircraft missile system, and the Zircon hypersonic anti-ship missile currently in development. The vessel will be equipped with Pantsir-M short range anti-aircraft missiles and Palash close-in defense weapons, as well as at least 16 anti-submarine guided missiles and the Paket-NK anti-torpedo system. The Lider Class is equipped with a flight deck and hangar space to accommodate two helicopters for support and ASW duties. 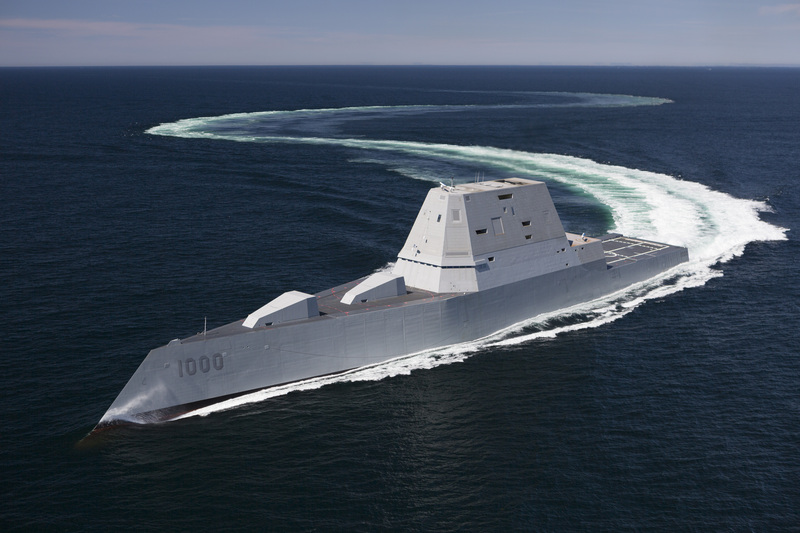 The vessel has a strikingly high and angular radar and sensory mast which makes use of modern stealth concepts to reduce the radar signature of the destroyer. Twelve Lider Class vessels have been ordered to be delivered between 2020 and 2025. The requirement for nuclear/hybrid electric drive may only be for a portion of the total number of vessels, with the remainder being of more conventional gas-turbine propulsion arrangement. Nuclear propulsion would greatly increase the underway endurance of the vessel, limited only by crew and weapons replenishment needs. Considering training and maintenance requirements, perhaps a third of the planned vessels will be completed as nuclear powered, long-endurance vessels to bolster the Northern and Pacific Fleets. The inclusion of at least one newly designed aircraft carrier in the procurement plans of the Russian Navy greatly changes the envisioned deployment and use of the Lider DDGs. The large DDGs may become the chief AAW/ASW platform for future CSGs, but long term Soviet-Russian naval doctrine exhibits a notable refuting of aircraft carrier importance in naval strategy, and thus any new carriers would most likely be used in a campaign or theater specific role, and not a carrier-centric restructuring of Russian naval doctrine. Displacement: Between 17,000 and 18,000 tons. Propulsion: Hybrid nuclear and gas turbine. Range: Practically unlimited with nuclear propulsion. At least 90 day planned endurance. Weapons Systems: A number of existing missiles, and missiles currently in development. 60 x anti-ship cruise missiles/land attack cruise missiles. Kalibr-NK or Zircon supersonic missiles are a possibility. 128 x anti-aircraft missiles. Most likely a navalized version of the S-500 now in development. Pantsir-M and Palash systems for short range and close-in defense. Shrouded in mystery, but the very large integrated mast suggests advanced X and S Band phased array radars for target acquisition and tracking, fire-control and engagement. Other sensory and communications arrays. Aircraft: Flight deck and hangar space to accommodate 2 x Ka-27 of Ka-32 helicopters. China has been modernizing and expanding its Navy at a rate that far outpaces the rest of the world. China has invested a great deal of its wealth, as the second largest economy in the world, and the world’s largest manufacturer and exporter, into modernizing and expanding its military capabilities. China estimates an increase in defense spending for fiscal year 2016 of between 7% and 8 %, putting the total amount at approximately $980 billion yuan ($150 billion USD). The PLAN has received a large portion of the annual defense budget of China, traditionally amounting to an estimated 25-30% of total expenditures in recent years. The most modern and capable surface combatant in the Chinese Navy is the Type 052D guided missile destroyer, which the PLAN is building at a rapid rate. The vessel supplements Type 052 destroyers of earlier, less capable variants. It must be noted that the PLAN is also commissioning modern vessels of just about every other designation at the same time, including an aircraft carrier, frigates, corvettes, LPDs, LSTs, tankers and logistics support vessels. Either as an acknowledgement of the need for a larger vessel to serve as a fleet command ship, a powerful AAW/ASW platform to round-out future CBGs, a very capable A2/AD vessel, or all of the above, Chinese naval planners have decided to build a vessel similar to their Russian counterparts. Similar in design, capabilities, and dimensions to the Lider Class, the PLAN Type 055 DDG is an impressive vessel on paper. If Chinese naval architects and engineers can continue their impressive list of achievements in recent years, the Type 055 should live up to its intended role. 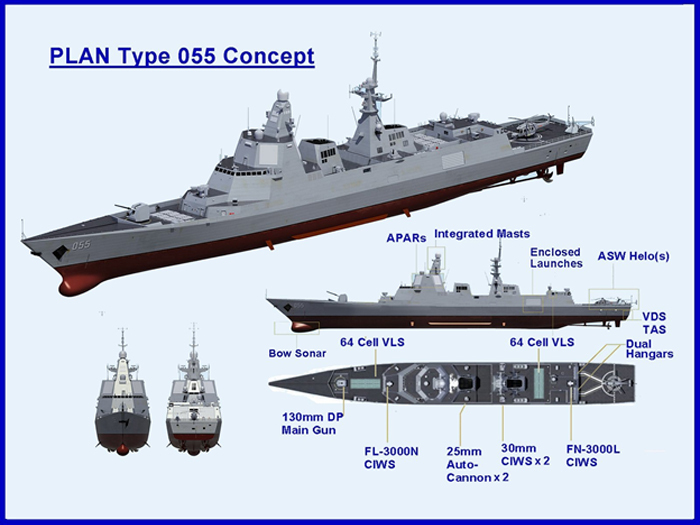 Type 055 DDG concept illustrating basic hull and superstructure design and placement of weapons systems. It is widely thought in military intelligence and analysis circles, that the first Type 055 is currently under construction. A superstructure mock-up was constructed last year in order to test the effectiveness of the superstructure and integrated mast design. An updated Type 346 phased array radar, with at least four arrays mounted on the forward superstructure, in addition to X-band radar and other ECM equipment, and communications and sensory gear yet to be determined, are most likely housed in the integrated mast. As the program is shrouded in secrecy, we must assume that the vessel will incorporate similar, yet more advanced systems than the Type 052D. Type 055 DDG mock-up superstructure and integrated mast. As far as weapons systems, the Type 055 will incorporate a similar VLS system as the Type 052D, which utilizes rectangular cells that are quad-packed (4 missiles per cell) and can accommodate any missiles currently in use in the PLAN, and predictably, new missiles of greater capability. Such a VLS design allows for the missile arsenal on the vessel to be tailored to the intended mission, and not limited to specific missiles, as is the case with the U.S. Mk.41 VLS. The Type 055will be armed with one VLS forward of the bridge, and one aft, which will accommodate either 48 or 64 cells each. Although at first glance this number compares to a U.S. Navy Arleigh Burke Class and JMSDF Atago Class DDG, both mounted with 96 cell VLS systems, the Type 055 will have the flexibility of mounting far more offensive missiles. In theory, a Type 055 could be equipped with 384 to 504 anti-ship cruise missiles to attack an opposing fleet, or the same number of land attack cruise missiles to bombard a land target while covering and supporting an amphibious assault. Although a more balanced load of offensive and defensive missiles of all types is most prudent and most likely, the Type 055 will possess the inherent flexibility to be armed to best exploit any strategic situation, and to best achieve specific missions. Displacement: Between 10,000 and 14,000 tons. Propulsion: Twin gas-turbine main engines, twin marine diesel auxiliaries. Range: Unknown, but probably between 5,000 and 6,000 nautical miles. 96 -128 cell VLS armed with any combination of ASW, ASCM, LACM, and SAMs. Undisclosed, yet probably a notable improvement on the Type 346 series of phased array radar. Advanced X and S Band phased array radars for target acquisition and tracking, fire- control and engagement. Other sensory and communications arrays. 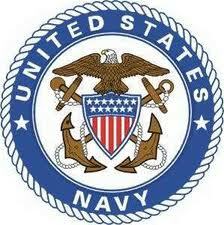 In all respects, the United States Navy is the preeminent naval power in the world. It has far more combatant vessels than any other nation. It employs the largest number of modern, advanced and combat-capable surface warfare vessels of any other navy. The U.S. Navy also operates more aircraft carriers than all other navies of the world combined, and these aircraft carriers are many magnitudes more powerful than those of any other nation. The U.S. navy will be commissioning a new generation of nuclear aircraft carrier (CVN) this summer, the USS Gerald R. Ford Class. With a complement of over 75 aircraft, advanced radar, communication and sensory capabilities, electromagnetic catapults and defensive weapons systems, the CVN is an awesome vessel. However, as the range and capability of modern anti-ship missiles has grown over the past two decades, there is a glaring question being asked. Have conventional aircraft carriers been eclipsed as the most powerful weapon of naval warfare? As increasingly hard to intercept and accurate missiles have been fielded in large numbers, capable of sinking a large vessel with a single hit, have far exceeded the effective range of carrier strike aircraft, is the large CVN a viable fulcrum by which to plan a naval strategy around? Both China and Russia have fielded extremely capable anti-ship missiles in recent years, both shore based and aboard warships. The latest of these missile-equipping surface warfare vessels, such as the Russian Kalibr #M-54T and Chinese YJ-18, can strike at ranges between 330 and 400 nautical miles, at a speed of approximately Mach 3.0 at their terminal phase, and have warheads of between 300Kg. and 500Kg. depending on the variant. Both nations field land-based cruise missiles that can target and destroy vessels off-shore at ranges in excess of 1,350 nautical miles. The Chinese DF-21D and DF-26 anti-ship ballistic missiles (ASBM) can target a carrier out to range of between 1,700 to 2,500 nautical miles. The ubiquitous F-18 Super Hornet, the U.S. Navy’s only strike fighter, has an effective strike range without aerial refueling, of 600 to 700 nautical miles, depending on payload. Its future replacement, the F-35 JSF, fails to improve this range limitation. The obvious inability of carrier based aircraft to both protect CSGs from long range ASBMs, and be able to strike enemy targets before the CSG becomes vulnerable to attack itself are obvious. Either the U.S. Navy needs to rethink their reliance on carriers, come up with creative ways to employ strike aircraft with aerial tankers, or design and employ a long-range, carrier-borne strike aircraft. Advanced electronic counter measures that would be effective against a supersonic or hypersonic ASBM are not an option due to the supersonic, and even hypersonic speeds involved. 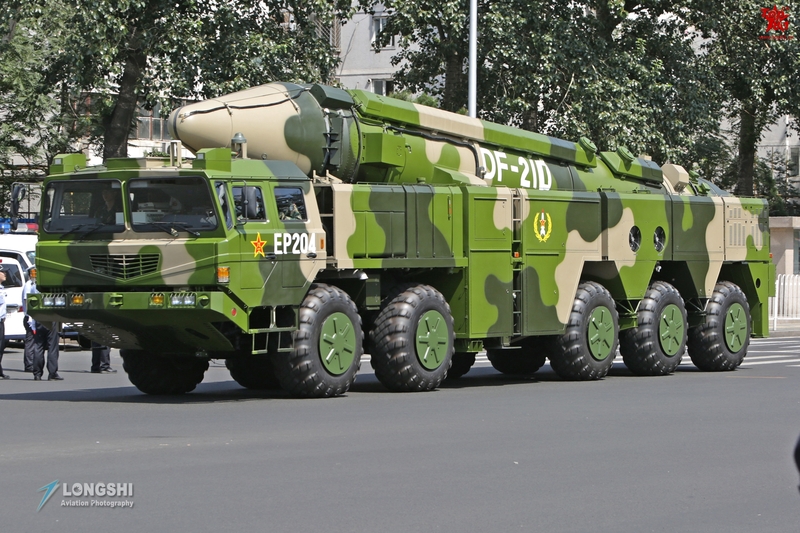 Chinese PLA DF-21D ASBM on mobile launch vehicle. Have long range ASMs, employed by both surface vessels and submarines, coupled with long range ASBMs rendered the conventional aircraft carrier forces of the U.S. Navy obsolete? The obvious answer is yes, if the Carrier Strike Group is used against an adversary such as Russia or China, that can bring such high-tech missile weapons to bear. The United States has not employed its expensive CSGs against a capable adversary, over the past two decades of major advancement in missile technology. They can’t, and they won’t. The $13 billion USD Gerald R. Ford CVN is a major technological marvel and an extremely capable warship; however, its aircraft complement lacks the range to be of any use in projecting power against a real adversary with a robust A2/AD capability. The proposed replacement for the F-18 Super Hornet, the F-35 Joint Strike Fighter, achieves no range advantage over its predecessor. An extremely important factor often overlooked in strategic military planning, is the matter of economics and national monetary policy. By late 2011, the United States federal government’s debt exceeded the Gross Domestic Product (GDP) of the nation. Standing at 102% as of 2015, the national debt continues to climb, regardless of record tax revenues. Only the coupling of the USD to petroleum and its status as the global reserve currency has allowed for such a massive debt to GDP ratio to grow and exist for so long without correction. The United States has been leveraging these factors, and impoverishing future generations to maintain a military that is larger and more costly than its top ten nearest counterparts combined. The United States is spending increasing amounts of money, and getting less in return. Misguided, or more accurately, a self-destructively and derelict monetary policy only fuels the problem, as an inflated USD money supply and unlimited spending by the federal government drives up the cost of national defense. USS Gerald R. Ford CVN 78 heading out for sea trials. Captain Hendrix estimates that the total cost per day to operate a CSG (in 2013) was $6.5 million USD. This includes the total life cycle cost of operating the carrier air wing, the accompanying surface vessels and SSN in the CSG, and the associated total crew. He also determines the life-cycle cost of each F-18 strike aircraft at a conservative $120 million. Considering that each aircraft, over the course of its life-cycle it will only drop 16 weapons total ,assuming 1,000 total strike capable aircraft in inventory, the cost per bomb/missile employed works out to be $7.5 million USD per unit. Considering that a Tomahawk LACM costs only $2 million USD, is this a truly cost effective employment of naval power? In contrasting the CSG with the Chinese strategy of utilizing land based ASBMs in saturation attacks against CSGs, Capt. Hendrix quite easily comes to the conclusion that The Chinese are getting far more bang for their buck. At an estimated unit cost of $11 million USD per DF-21D SBM, China can afford to build 1,227 of these missiles for the cost of just one Gerald R. Ford Class CVN, at a cost of $13.5 billion USD each. If the Chinese saturated a targeted CSG with a large number of these “carrier-killers”, attacking from multiple approach vectors and at varying speeds (reaching supersonic speeds of Mach 5 to Mach 8), a mission-kill is highly probable. The missile strike need not sink the carrier out-right, merely cause enough damage to render it inoperable for performing its intended mission for an extended period of time. Faced by an increasingly hostile and belligerent United States, both China and Russia have invested heavily in developing strategies and technologies to defeat U.S. naval power. The United States operates ten Carrier Strike Groups, with an additional carrier in reserve status. The U.S. has trusted in, and expertly utilized the Carrier Strike Group to dominate the maritime domain and to project power across the globe since the aircraft carrier proved its preeminence during the Second World War. Almost seventy-five years have passed since the Imperial Japanese attack on Pearl Harbor that showcased the power projection capabilities of fleets based around aircraft carriers. The United States perfected the use of carriers in the intervening decades, and used them effectively as both a political and military tool. However, just like the seas that these massive weapons of war sail upon, warfare is constantly in a state of change. New technologies have yielded alternative ways of fighting naval engagements, and both Russia and China have made use of these technologies to build an alternative naval warfare strategy meant to counter and defeat the carrier-centric U.S. Navy. Both nations have invested heavily in developing long range, guided anti-ship missiles and anti-ship ballistic missiles. Their national defense strategies dictate the use of both land based and ship based missile systems to attack U.S. carrier strike groups, first to achieve a mission-kill against the carrier and then to attack the supporting vessels in the strike group with superior firepower. Where U.S. warships are designed to protect an aircraft carrier as their primary mission, and are outfitted with a heavier complement of AAW/ASW weapons, Russian and Chinese surface vessels are designed with greater offensive firepower, to target and destroy enemy warships. Once an aircraft carrier and its air wing are rendered useless, the flexibility and firepower of Russian and Chinese fleets will prove decisive. The Russian Lider Class and the Chinese Type 055 Class represent the next generation of embracing this alternative strategy, one that rebukes the superiority of the aircraft carrier in 21st century naval warfare. Both ships are larger than traditional guided missile destroyers, despite their DDG designation. They pack far more offensive weaponry than a traditional destroyer, and their VLS design allows them a greater degree of flexibility. They can be mission tailored, and can take advantage of the full arsenal of modern missiles produced by their respective nations. Both are far more cost-effective than an aircraft carrier. In a purely defensive role, when used in conjunction with land-based anti-ship guided missiles and anti-ship ballistic missiles, as well as land-based air superiority fighters and strike aircraft fitted with anti-ship missiles, they will prove even more potent. Such a combination of national defense capability is a viable deterrent to foreign aggression. The United States has obviously chosen to wager its naval supremacy on larger and more advanced aircraft carriers. It must now decide on how best to counter the Russian and Chinese superiority achieved in stand-off, over the horizon missile strike capability. The obvious answer is to develop a carrier air wing that can protect the CSG at increased range, and strike first. The U.S. has dumped over $1.3 trillion USD into an aircraft that will replace the F-18 super hornet. This aircraft, the F-35 JSF, has failed to exceed the capabilities of the legacy aircraft, and does not possess the needed range to change the range-gap that the CSG now faces. The U.S. Navy needs a new aircraft. In the meantime, the U.S. Navy may have to come up with ingenious stop-gaps that will extend the range of its fleet air arm. One such expedient measure is the adaptation of aircraft not originally designed for the function, to be modified and pressed into service as carrier-based aerial refueling tankers. The U.S. Navy is experimenting with a number of aircraft to see if this is both feasible and practicable. 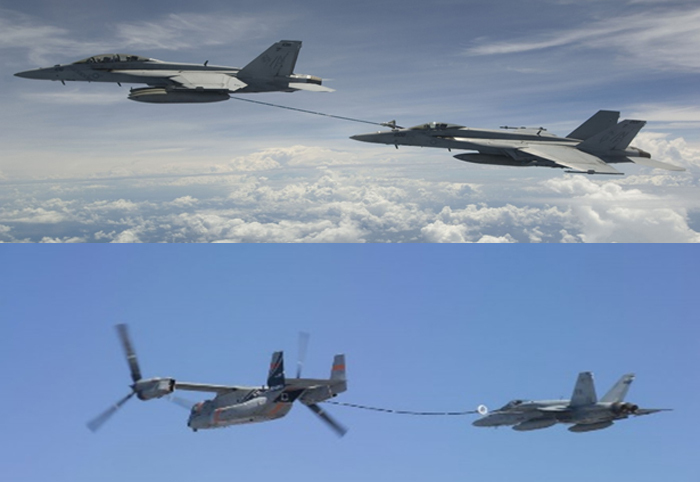 F-18s Super Hornets ‘buddy refueling’ and V-22 Osprey aerial tanker feasibility tests. The United States just unveiled a new ABM system based in Romania, ostensibly part of a NATO anti-missile shield aimed at protecting the alliance from unidentified ‘Rogue States’. The United States is following up with a second such ABM base in Poland. In addition, the U.S. has notified China that it is planning to base Terminal High Altitude Aerial Defense (THAAD) ABM systems in South Korea. The reason given by the White House is the threat that a nuclear armed North Korea poses to the allied nations of South Korea and Japan. Reading between the lines, both Russia and China must see that ABM systems placed right on their borders may be used to shoot down any long range anti-ship cruise missiles or ballistic missiles targeting an aircraft carrier strike group. Technological innovation and human ingenuity are constantly changing the nature of warfare. Opposing forces will continue to try and gain an advantage over one another. This timeless fencing match will continue as it has for centuries. The next generation guided missile cruisers designed by both Russia and China have provided them with a distinct advantage. It is now up to the United States to answer this challenge. It appears that the U.S. has doubled down on the aircraft carrier, and while reaping huge economic gains for the defense establishment, has left the nation, its sailors and airmen, at a distinct disadvantage.